I love the Apostle Paul’s authenticity and transparency as he confesses that he has struggle with those in Laodicea that he’s not yet seen fact o face but still wants them to reach the point of having “full assurance of understanding” about “the knowledge of God” and the “mystery, which is Christ,” as these things were hidden for ages until the coming of Christ. What does the “mystery, which is Christ” mean? Is Paul speaking about having the assurance of their faith or salvation? What does having our hearts “knit together in love” mean? What does it look like? 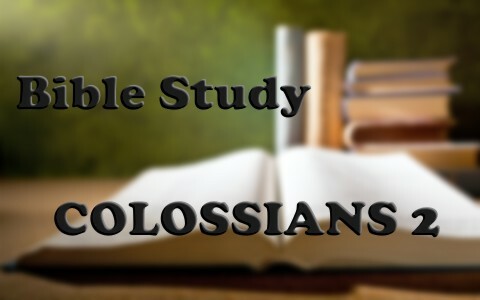 When Paul writes to the Colossians about walking with Christ and being built up in Him, he is referring to those things which they have already been taught. Then he writes about their being established in the faith and being rooted in Him so that like the tree planted by the streams of living water shall never die. Why does Paul refer to our being “rooted and built up in” Christ? Is Paul concerned that the church has full assurance of their salvation? Paul adds that in Christ, “you have been filled in him, who is the head of all rule and authority” so as to not be caught up in the empty philosophies of this world which are simply extensions of human tradition and we already know that Jesus rebukes the religious leaders for the traditions of men and “thus making void the word of God by your tradition that you have handed down” (Mark 7:13). What are some of the traditions of men that are worthless to God? This is reminiscent of Ephesians 2:1-2 where Paul wrote that “you were dead in the trespasses and sins in which you once walked, following the course of this world, following the prince of the power of the air, the spirit that is now at work in the sons of disobedience” and have died with Him, symbolic of baptism and then raised to new life, as in being a new creation in Christ (2 Cor 5:17) and meaning we’ll have new desires and passions, but not earthly passions but passions and desires to do God’s will and live in obedience to God. What does it mean “by the circumcision of Christ” we’ve been buried with Him and raised in Him? By Jesus’ death, He nailed all of the legal requirements of the law to the cross, otherwise we would all be standing before God as guilty and condemned but “He disarmed the rulers and authorities and put them to open shame, by triumphing over them in him” (Col 2:15) and took the legal demands which put us all on “death row” by nailing them to the cross. What does it mean that Jesus nailed the legal demands to the cross? Why does Paul use language that says we were dead in our trespasses? Has anyone ever judged you by the day you worship, the foods you eat, or anything similar to these? What are these “new moons” that Paul refers too? At first glance, these things have “an appearance of wisdom in promoting self-made religion and asceticism and severity to the body, but they are of no value in stopping the indulgence of the flesh” (Col 2:23). It is only by God’s Spirit that we can be new creations in Christ and not by things like “don’t eat that, don’t touch that” since these are “according to human precepts and teachings” which will all pass away someday. Do you find yourself submitting to regulations of your own kind? In writing to the church at Colossae, Paul was very concerned about the traditions and manmade laws of the religious leaders creeping into the church because they looked religious on the outside but Jesus rebuked them by saying, “Well did Isaiah prophesy of you hypocrites, as it is written, This people honors me with their lips, but their heart is far from me … since it is “in vain do they worship me, teaching as doctrines the commandments of men” and by doing so, they ”leave the commandment of God and hold to the tradition of men” (Mark 6:6-8). It is so easy to be caught up in tradition and ignore what is really important to God and the reason Jesus pronounced a “woe” or judgment upon the scribes, Pharisees, and the teachers of the law by telling them, “Woe to you, scribes and Pharisees, hypocrites! For you tithe mint and dill and cumin, and have neglected the weightier matters of the law: justice and mercy and faithfulness. These you ought to have done, without neglecting the others” (Matt 22:23). Previous post: What Is The 10th (Tenth) Commandment In The Bible?